​We are currently at the Proton Center most Wednesdays from 10:15am-11:30am. Please email us if you'd like more information. This is Liddy, the sister of one of the strongest most courageous young women I know. 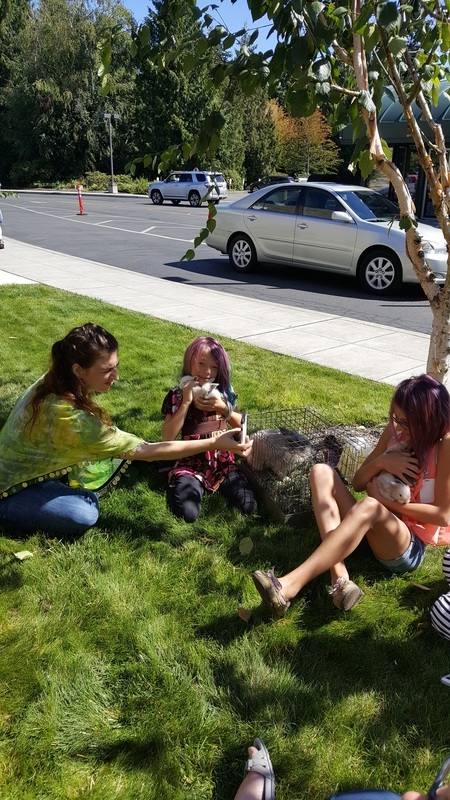 We have been lucky enough to continue to be in each others lives and learn about bunnies and watch them grow together. I got to visit her and her family just a few weeks ago over at Children's Hospital in Seattle. 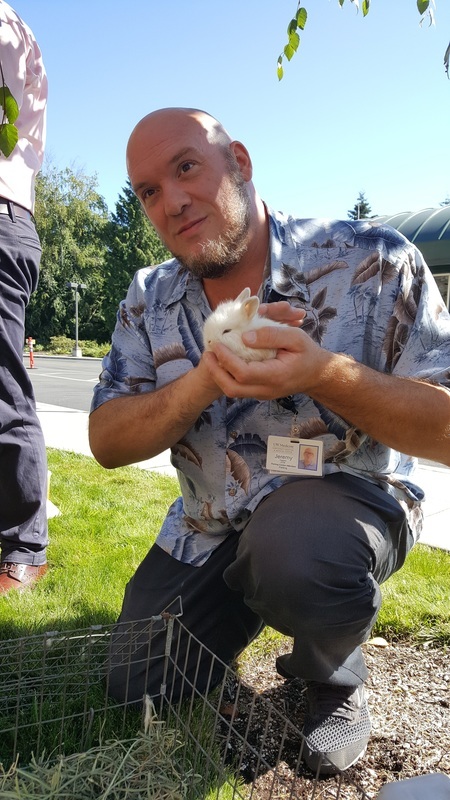 We had many people wave at us and stop to pet the rabbits while we were visiting and getting our rabbit therapy for the morning. I always enjoy my company with this family and am so excited to create many more relationships like the one we've developed. 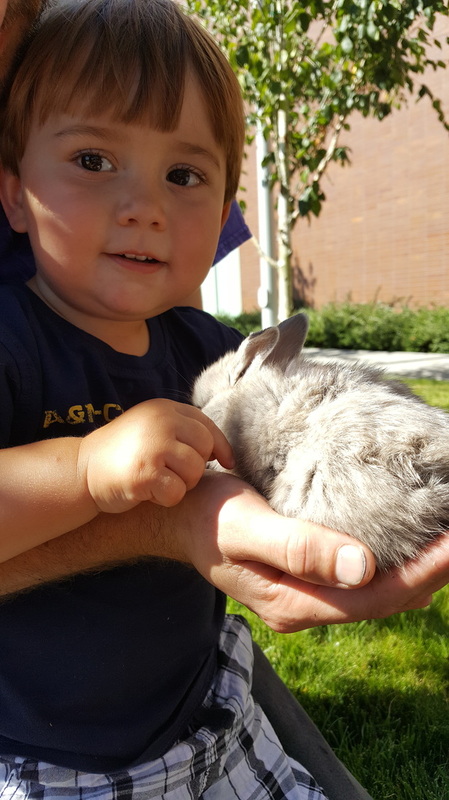 Rucker Rabbits hopes that you are all back home safe in Montana and we cannot wait to see you again later this month so that you may see just how much these buns have grown! 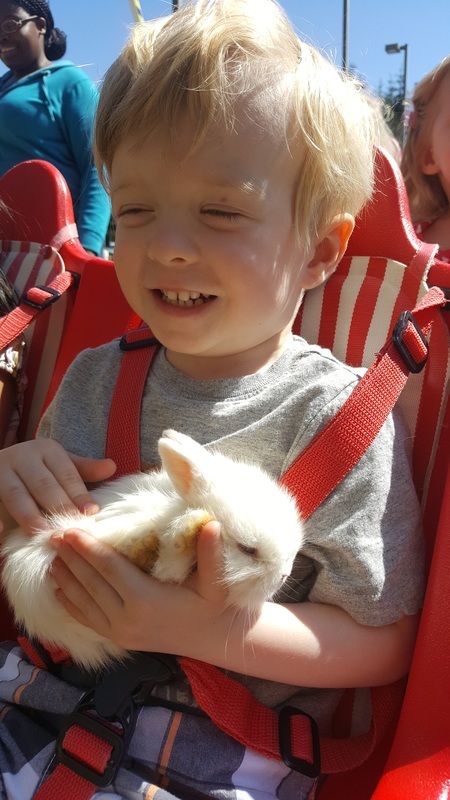 A most precious little 3 year old boy with a brain tumor who so enjoyed coming to from the anesthesia with bunnies and his momma! He was so sweet and precious the entire time to just love and kiss on the buns. We hope to see you again soon little man! Over the last few weeks I have gotten to love and understand this little girl for the immense amount of courage she holds and how loving she and her family are. 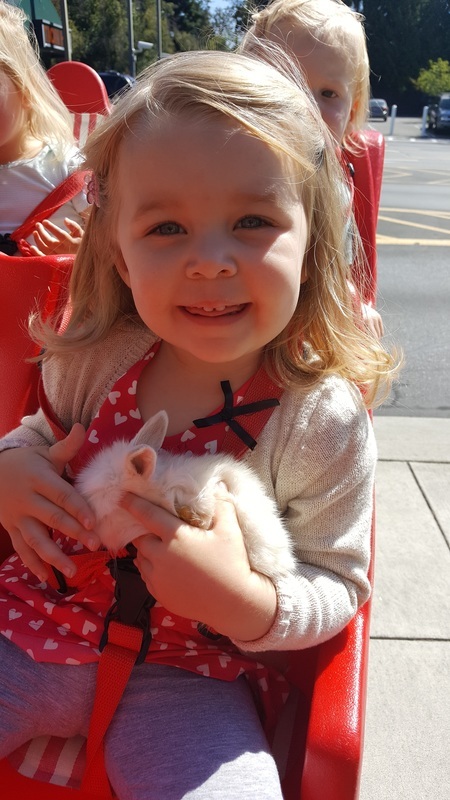 She has mentioned that bunnies can get her through the worst and this volunteer work all started out because this little girl missed her bunny back in Montana so much that we couldn't resist not only coming out once but coming out many times to see her! We will be missing you dearly when you go back to Montana but will be so overjoyed to see you again in a couple months, but only so we can watch your love for rabbits grow with you! The moms, Nurses, Siblings, Doctors... literally everyone at the proton center pops down to see us and pet all these lovies... even the manly security guards!